What historians don't know about the author of "12 Years A Slave" is when and how he died and where he is buried. Historians know where Solomon Northup was born, where he lived and where he worked. They know whom he married and how many children he had. They know he played the fiddle and spent 12 years enslaved in the South before being freed. It's a lingering mystery in the final chapter of the life of the 19th-century free-born African-American whose compelling account of enforced slavery in pre-Civil War Louisiana was made into the Oscar-winning film of the same title. 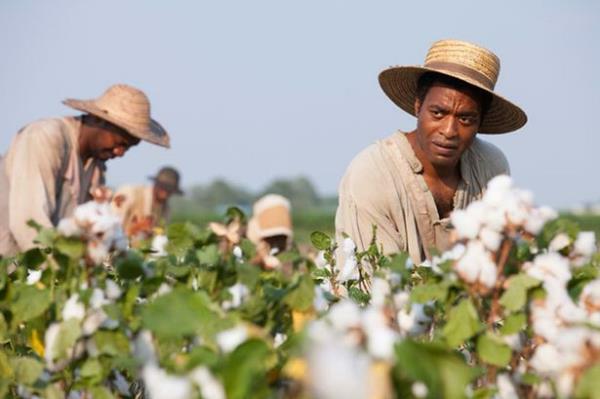 "That's sort of a big blank spot in the story, for sure," said Rachel Seligman, co-author of "Solomon Northup: The Complete Story of the Author of Twelve Years a Slave," published last year. This month, "12 Years A Slave" took home the Academy Awards for best picture, best adapted screenplay and best supporting actress. The accolades have sparked new interest in Northup's story, which was little known until recent years even in the upstate New York communities where he spent most of his life. Northup was born July 10, 1807, in what is now the Essex County town of Minerva, in the Adirondack Mountains. His father, a former slave, moved the family to neighboring Washington County, eventually settling in the village of Fort Edward, on the Hudson River 40 miles north of Albany. Northup married Anne Hampton in the late 1820s, and the couple lived in an 18th-century house in Fort Edward that is now a museum. Northup worked on his father's farm and rafted timber on the Champlain Canal between Fort Edward and the southern end of Lake Champlain. The couple and their children moved to nearby Saratoga Springs when Anne got a job in one of the growing spa resort town's big hotels. Northup found work as a musician, and in 1841, two white men lured him to Washington, D.C., with the promise of more work. Instead, they kidnapped him and took him to New Orleans, where he was sold into slavery. Northup endured the next 12 years enslaved on a Louisiana cotton plantation before friends in Saratoga finally won his freedom. In 1853, he published a memoir of his ordeal that led to a speaking tour supported by abolitionists. He got involved in the Underground Railroad, helping escaped slaves find freedom in the Northeast and Canada. But around 1863, the height of the Civil War, he dropped out of sight and was never heard from again. Even the movie notes at the end that "the date, location and circumstances" of Northrup's death remain unknown. Theories abound about what may have happened to him. One scenario has him being captured and killed while serving as a spy for the Union Army. The man who helped rescue him said he believed Northup had taken to drink and was kidnapped yet again. Or Northup could have died in a place where no one knew him or cared to properly bury an African-American at a time when a war over slavery was tearing the nation apart. "He may have just wandered around from place to place and died somewhere nobody knew who he was, and he was buried in a potter's field," said David Fiske, co-author the 2013 Northup book along with Union College professor Clifford Brown. "There's no paper trail for him," Brown added. Fiske said Northup's descendants also couldn't provide any documents or hard facts, so he has followed numerous threads while trying to track down where Northup may have been buried. He checked cemeteries in communities outside Saratoga and other upstate communities where Northup's wife and their children later lived, but came up empty. No death records have ever been found for him. Fiske, a former state librarian, points out that death records weren't kept in a systematic form in New York until the 1880s. For Seligman, a museum curator at Skidmore College, host of this July's annual Solomon Northup Day, the mystery surrounding Northup's demise and resting place is part of the allure of being a historian. "It's what keeps historians going," she said. "It's just a puzzle to be solved."